The Gulf Co-operation Council (‘GCC’) region remains an attractive jurisdiction for foreign investment due to the favourable tax regimes in most GCC countries. However, there is a general misconception that there are few or no issues with taxes in the GCC. In line with the GCC’s diversification strategy and to reduce dependence on revenue from hydrocarbons, the individual GCC countries have committed to introduce new indirect taxes and other tax reforms. The evolving tax regimes of the GCC countries pose a challenge to foreign investors who are either seeking to establish a presence in the GCC, or sell, divest or acquire businesses in the GCC. In this article, we will provide an overview of some of the key taxes in the GCC. Generally, corporate tax is a form of direct tax levied on the taxable profits of entities. Non-residents of a GCC country may be subject to corporate income tax or withholding tax depending on the domestic rules in the specific GCC country. Non-residents that conduct business in the relevant GCC country through a permanent establishment are subject to corporate income tax whereas non-residents that generate taxable income from sources in that GCC country may be subject to withholding tax. In practice, certain GCC countries such as the UAE and Bahrain only enforce corporate tax on companies in the oil and gas sector and branches of foreign banks. In Kuwait, the KSA and Qatar, corporate tax is imposed on the profit share attributable to the non-GCC shareholder of the local entity. Withholding tax is the tax deducted at source on payments made by a resident in the GCC country to a person outside that GCC country. Different withholding tax rates apply depending on the nature of the payments made by the resident to the non-resident. The UAE and Bahrain do not impose withholding taxes whilst the other GCC countries generally impose withholding taxes on payments of interest, dividends and royalties from its residents to a non-resident or retention taxes. The domestic withholding tax rates of a jurisdiction may be reduced under a double tax treaty that is in force between the countries of the payor company and the recipient, provided certain conditions are met. Currently only enforced in certain GCC countries such as the KSA and Kuwait, Zakat is a form of Islamic tax. For instance in the KSA, Zakat is imposed on shareholders of resident companies who are Saudi or GCC nationals. Zakat is paid by the resident company at the rate of two and a half percent based on the higher of adjusted net profits or the zakat base attributable to the shareholders who are Saudi or GCC nationals. VAT is a form of consumption tax imposed on the supply of goods and services and is charged on the value added at each stage of the supply chain. The GCC countries have agreed to implement VAT at the standard rate of five percent. The unified GCC VAT Agreement sets out broad principles that should be followed by all the GCC countries in their VAT laws whilst providing flexibility in certain matters. Each GCC country will enact its own VAT legislation based on these common principles. To date, the UAE and the KSA implemented VAT on 1 January 2018, whilst Bahrain implemented VAT on 1 January 2019. In the UAE, the KSA and Bahrain, an asset transfer that qualifies as a transfer of business and fulfils certain conditions would not be treated as a supply for VAT purposes and therefore, would not be subject to VAT. 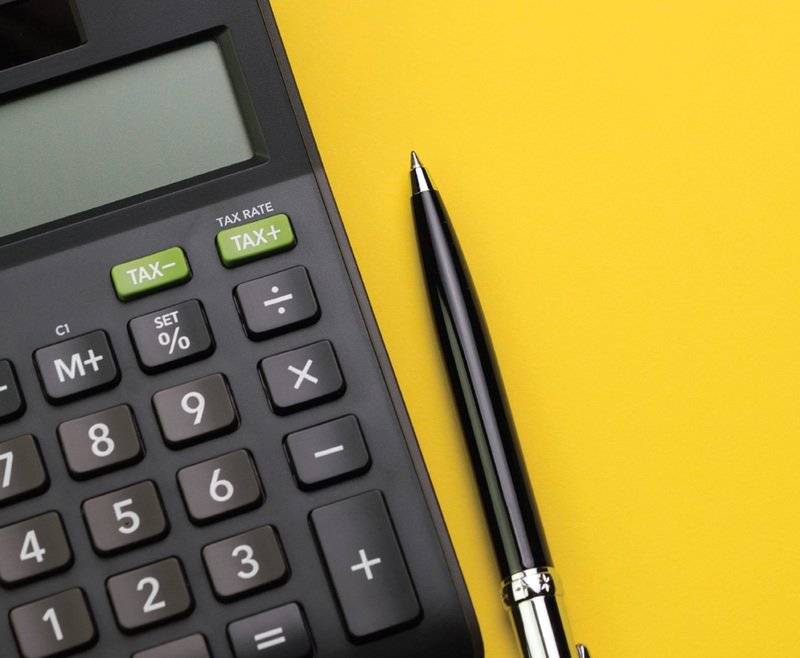 As part of the transaction planning, businesses should carefully assess the VAT impact of the asset transfer and whether the transaction qualifies for such VAT treatment. Dubbed the ‘sin tax’, excise tax is a form of indirect tax levied on specific goods which are typically harmful to human health or the environment. In a joint effort to reduce the consumption of unhealthy and harmful commodities, the GCC countries agreed to implement excise tax by way of the Common GCC Excise Tax Agreement. To date, the UAE, the KSA, Bahrain and Qatar have implemented excise tax for tobacco products at 100 percent, energy drinks at 100 percent and carbonated drinks at 50 percent. he GCC countries have a unified customs duty regime. Customs duty is imposed at the first point of entry of goods into the GCC. Imported goods are generally subject to customs duty at the rate of five percent of the cost, insurance and freight (‘CIF’) invoice value. However, certain goods may be subject to customs duty at a higher rate whereas other goods are exempt. In Oman and Bahrain, stamp duty is imposed on the transfer or registration of real estate. In the UAE, a registration fee is levied on the transfer of ownership of land or the transfer of shares in companies holding real estate. The GCC countries have adopted a relatively light touch on the majority of its tax framework and maintained minimal or zero taxes. 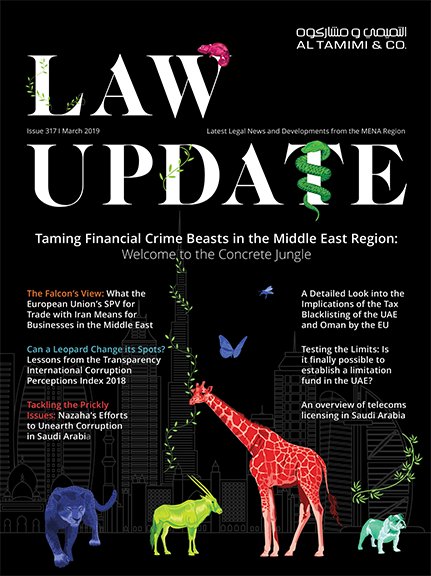 Whilst this makes investment in the region attractive, the introduction of new taxes such as VAT, the discrepancies between domestic tax legislation and double tax treaties and the tax authorities’ approaches add an additional layer of complexity for foreign investors seeking to do business in the GCC region. In view of the international pressure on tax transparency and the GCC’s diversification strategy, it is anticipated that the tax regimes in the GCC will continue to develop. Foreign investors with current or potential business interests in the GCC should continuously ensure that they keep abreast of GCC tax developments and reassess their tax risk management strategies in the region. Al Tamimi & Company’s Tax Team regularly advises on corporate tax, VAT and other tax matters. For further information please contact Shiraz Khan (s.khan@tamimi.com) or Janet Gooi (j.gooi@tamimi.com).